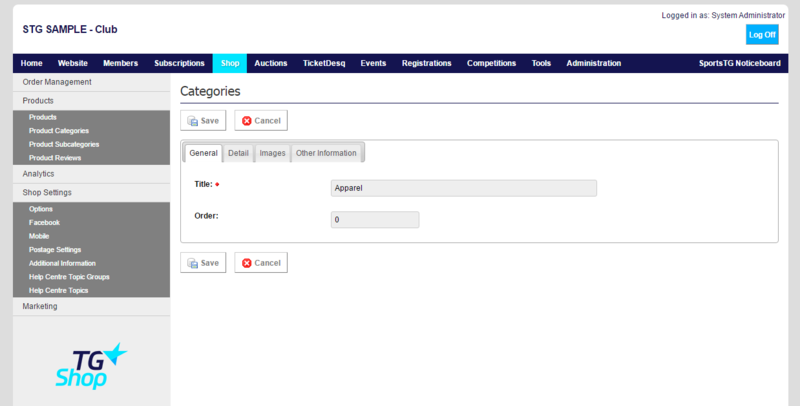 The details of categories and subcategories often change over time, and you can edit their information at any time through the Management Console. 2. Select Product Categories or Product Subcategories from the expanded left menu. 3. Click on Edit next to the Category or Subcategory that you wish to make changes to. Note: Update the details and images for your Product Categories and Subcategories to allow you to promote different products at different times during the year.